You need to be a member of NanoMedicine Group on NanoScience Network to add comments! ASP has recently launched its new journal called “Advanced Carbon” which is a peer reviewed multidisciplinary international journal publishing original and high-quality articles, short communications, critical reviews, case studies etc, covering a wide range of topics in carbon related science and engineering. The authors will be informed on the decision within four (4) weeks after submission, and following acceptance, the article will be published in the journal’s next issue. Impact factor of this journal is awaited. Looking forward to your submission. The conference will take place over 3 days, and will be divided into sections that allow focusing on the conference topics. The Conference will consist of invited oral presentations, oral presentations and poster presentations selected from abstracts. We are now accepting applications for oral and poster presentations. and all written in bold 14 Times new roman. A reception to view and discuss posters will be held during the first day of the conference. Deadline to send abstracts to nakaa.nanotechnology.network@gmail.com is 10 September 2013. 3. Nanotechnology in drug delivery using magnetite Nanoparticles. beside a practical preparation of Magnetite nanoparticles in laboratory. A poster session for the related topics will be available during the workshop for those who would like to participate with a poster. Fees are 190 EGP for Egyptian attendees. Fees are 195 EGP for poster presenters. Fees include: Gifts from Nature magazine + materials on CD +Lectures+ poster session+ Lunch( surprise) + Practical part + Certificate(contains Logo of Naturemiddle East Logo). 1- The conference venue has been determined: the conference will be held in Cataract pyramids 5 stars hotel in Giza in great Cairo, Egypt. Cataract Pyramids Resort has unique location, beautiful panorama of the great Pyramids, surrounded with farms and green grace peaceful. The resort, 5 star international standard hotel, is located on the road to Sakkara towards the oldest made structure - The step Pyramids of Sakkara, and less than 40 minutes from Cairo International airport. Shuttle Buses will be available for Egyptian attendees for Free to transport them from Cairo University main door to the Hotel at the beginning of the conference days and back again to Cairo University at the end of the days. Our conference guests and attendees will all enjoy the breakfast in the beautiful garden in fresh air and the great open buffet lunch in one of the greatest restaurants in the Hotel every day during the conference days. For any one who would like to book accommodation in the hotel can book through us or contact directly the hotel. 2- Some of our speakers and poster presenters have been published in the conference website and more speakers and poster presenters will be published later on. 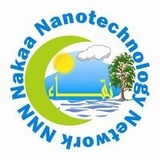 Nakaa Nanotechnology Network NNN would like to invite you to be members in its International Network for free. we hope you will enjoy your free membership. The conference will take place over 3 days in Al-Azhar conference center, and will be divided into sections that allow focus on topics in Nanotechnology.